for skunkfunk's u.s. flagship store in san francisco, collaboration with the client resulted in modern elements to reflect the clothing aesthetic, all nested in the existing victorian architecture. 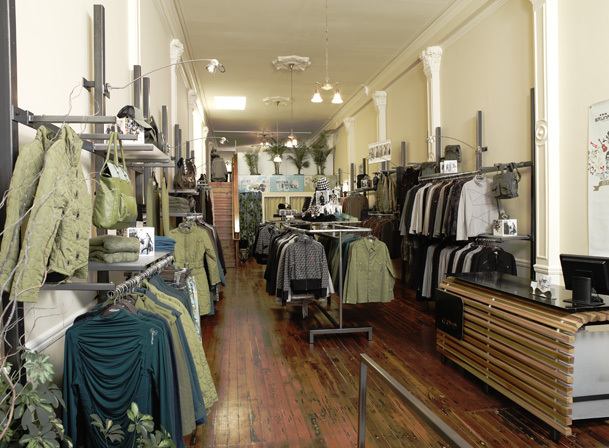 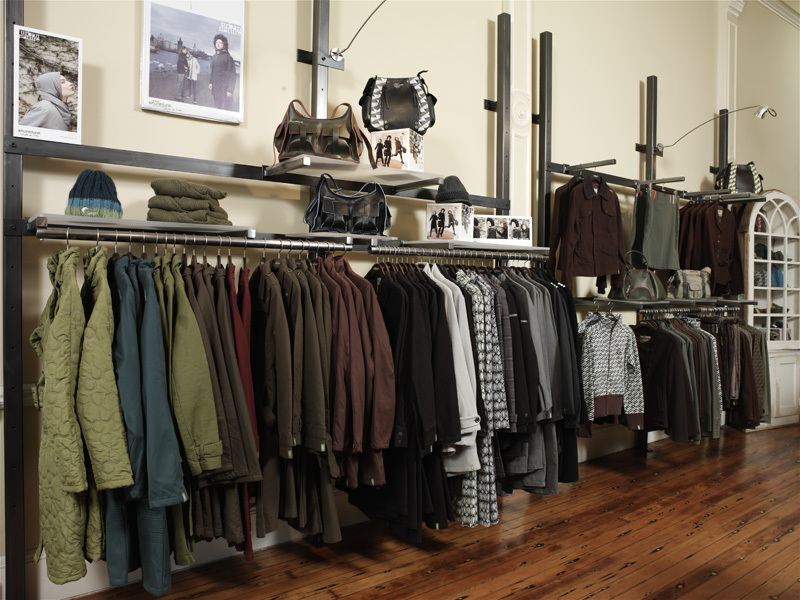 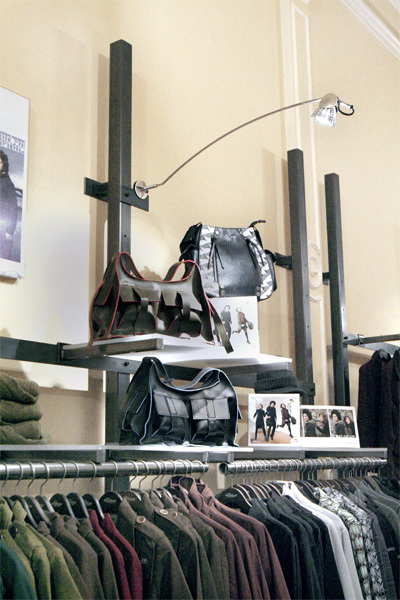 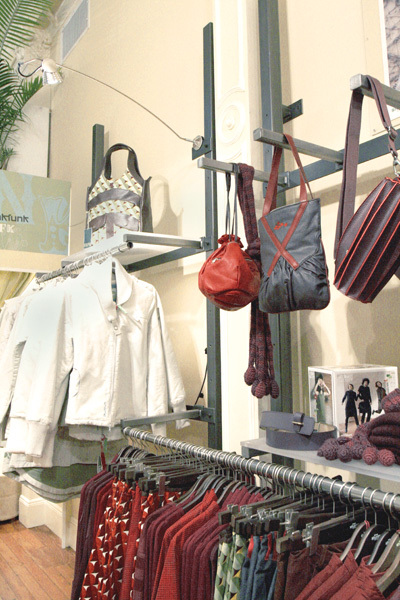 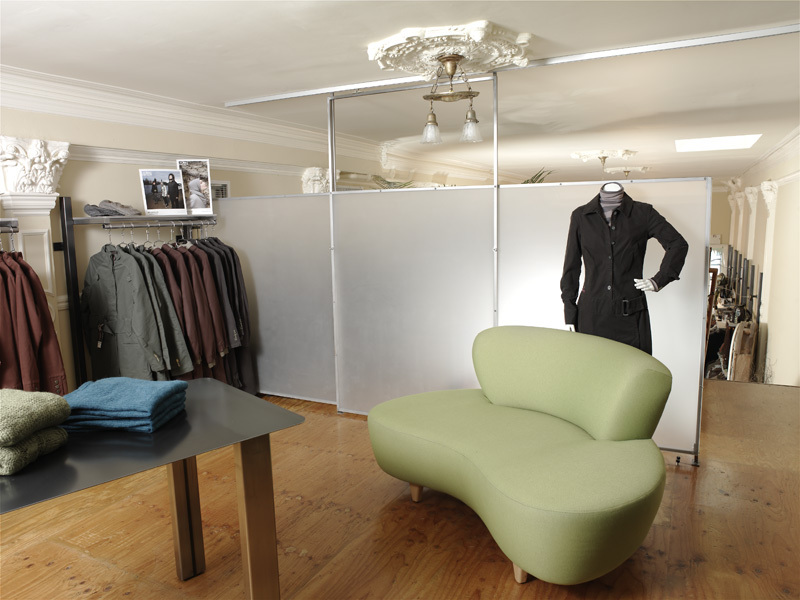 interior design/build of the space includes a modular retail display system of steel and resin with display lighting. 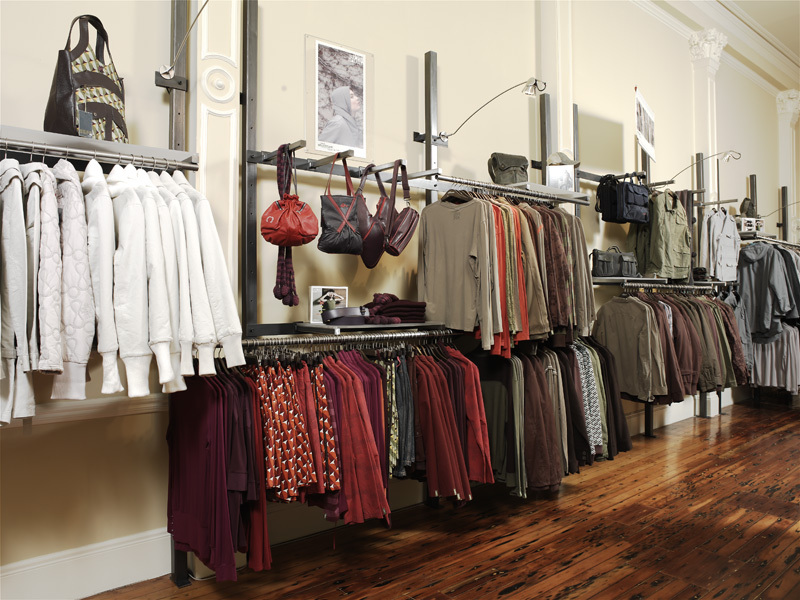 elements of steel, poplar hardwood, resin and acrylic comprise the remainder of the showroom, office and wholesale showroom loft.